Lenses for landscapes! 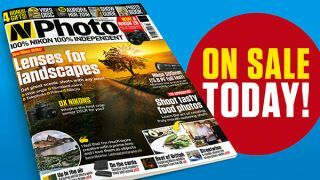 March issue of N-Photo on sale now! When it comes to shooting landscapes, you’ll need a wide-angle lens affixed to the front of your Nikon, right? Well, not necessarily… Landscape pro Chris Rutter shows how you can get stunning shots of the great outdoors with any lens, including telephotos, primes, macro lenses and your standard zoom. Our Apprentice is served up a plethora of pro tips for shooting a scrumptious smorgasbord of food images under the guidance of foodie photographer Victoria Campbell. France-based Scottish landscape photographer Duncan MacArthur tells his story and shares his stunning shots of magnificent mountains and incredible coastlines. We put Nikon’s entire range of crop-sensor DX DSLRs through their paces, from the beginner (and budget) friendly D3500, to the pro-level D500, and discover that small can indeed be beautiful. We also try out Nikon’s 500mm f/5.6 PF for (surprisingly compact) size, with its ingenious Phase Fresnel lens, and test six memory card readers for speed and versatility. In our skills section, we show you how intentionally moving your camera during an exposure can create wonderfully abstract images, paint complex light patterns using a simple string of LEDs, join Nikon school for a low-light cityscape shoot, and shrink ourselves to the size of a mouse for surreal portraits with clever posing and props – along with a little Photoshop trickery. Over in the digital darkroom, we explain how to create the 'toy town' look by emulating a tilt-shift lens in Adobe CC, minimize noise in low-light shooting with Nikon's free Capture NX-D software, and achieve astoundingly detailed high dynamic range images with the incredible Aurora HDR software – which we're giving away free with this issue! Plus this issue also comes with a bonus Make Cash with your Camera ebook, to help you make a living from the hobby you love! So rush down to your newsagent today. Or ever better, why not subscribe to a print edition, and have the magazine delivered to your door every month?